Looking ahead to our Europe trip next year, I knew I needed some expert advice about getting away from the crowds in some of the continent’s best locations. 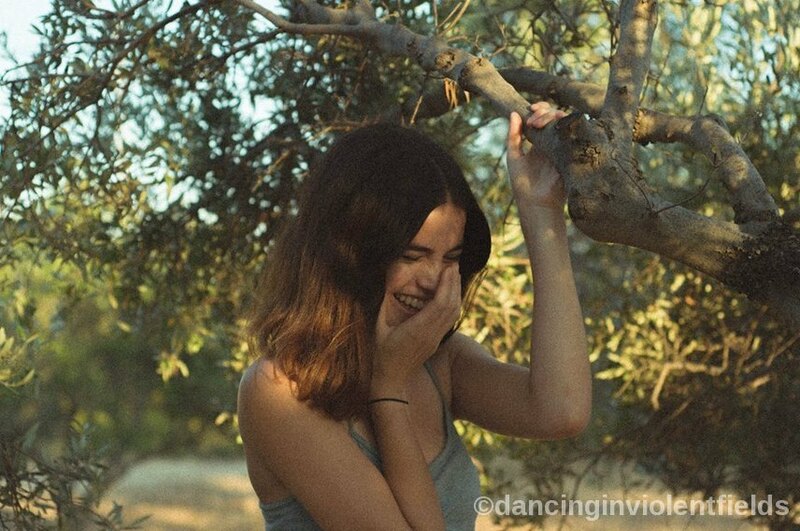 So, I got in touch with Elly-Grace over at Dancing In Violent Fields! Usually found daydreaming about the fantastic Summers of her ancestral home of Greece, I knew Elly-Grace was perfect for the job! Her lifestyle and travel blog is ideal for souls seeking inspiration and, as she often struggles between the need for travel money and the need for coffee too, I knew she’d understand my priorities perfectly! Mention the ‘Greek Islands’ and everyone automatically thinks of Santorini, Mykonos or Ios. I’m not saying these islands aren’t ridiculously beautiful, but don’t you get bored of hearing everyone rave about Santorini or tired of seeing the same Mykonos sunset photo on every single Instagram account! Well I know I do … and I don’t think I’m alone! That’s because, whenever you mention the thrill of getting off the beaten track to discover the real, authentic Greece, people love it! From the stories to the people, the food to the lifestyle, there’s no doubt that the ‘non-touristy’ experience is definitely the better way to go when it comes to visiting this fabulous part of Europe. However, getting away from the crowds, especially when you don’t speak the language or know the landscape, can be quite difficult. So I’ve compiled a list of insider secrets to help make your transition into a respectable local just that much easier and to help make your trip to Greece just that much more enjoyable. It’s actually very challenging to travel solo. Except in Greece. Here, a solo girl gets her pick of the hot Greek men on offer! 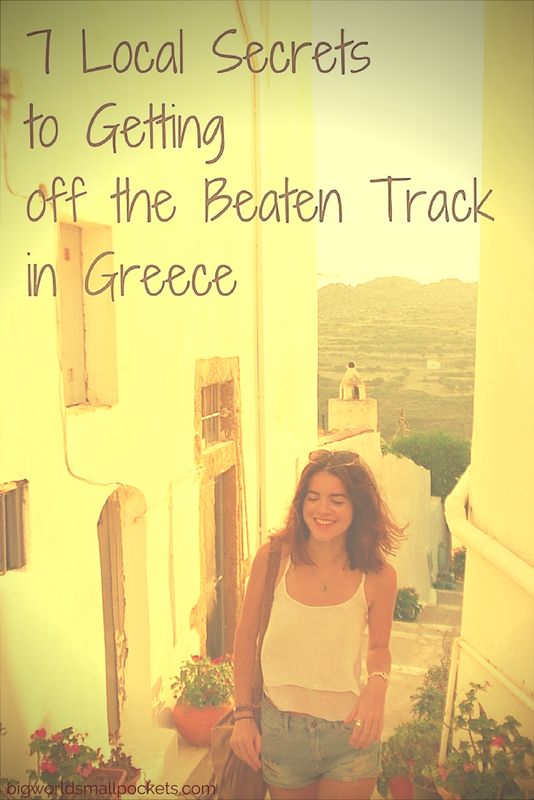 This will make your attempt to get off the beaten track in Greece a lot easier! No, but seriously, solo females or males will likely be befriended by friendly Greek locals desperate to show off their country. There’s nothing like an experienced and free tour guide when it comes to seeing the best parts of a country, so take full opportunity of this solo travel benefit and enjoy your time away from the crowds. #1 Greece Lonely Planet – Super maps and great accommodation recommendations make purchasing the Greece Lonely Planet Guidebook a good investment. #2 Swimsuit – With those perfect coloured waters, taking an ocean dip is essential. I always love Rip Curl’s great bikini designs. #3 Natural Sunscreen – Steer clear of all those nasty chemicals with this top natural sunscreen product. #4 Summer Hat – Whether you’re a fan of a cap or a big floppy hat like me, taking a stylish summer hat to Greece will be key. I LOVE this Hello Sunshine one. #5 Sarong – If you’ve read any of my packing lists, you know a good sarong is always in my travel bag and a trip to Greece is no exception. Check out One World Sarongs if you’re looking for some inspiration. 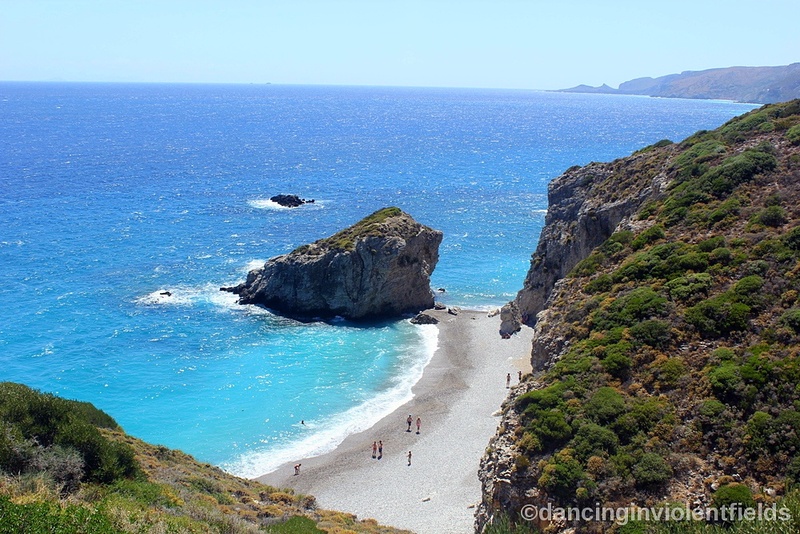 One thing I discovered on my third trip to Greece was that spending more time on the mainland is a great way to get off the beaten track in Greece. Although Athens is my favourite city in the world, it is a huge tourist hit, so you should go further north if you want to see a more “local” Greek city. Located on the Thermaic Gulf of the Aegean Sea, the awesome destination of Thessaloniki is a perfect place to do this. With a small population of just 300,000, it’s highly unlikely that many people you know will have travelled to this part of Greece. Enjoy time away from the crowds therefore by visiting the ancient squares, towers and fortresses of this old city. You can easily wander the streets for a few days, losing yourself in the history of it all and discovering a world few tourists learn about. I understand that limiting yourself to only one Greek Island might be a difficult task for you to do. It takes a lot of strength, I know! Yet allowing yourself a decent amount of time to see just ONE island is another local secret to getting off the same path that every tourist to Greece follows. If you have the opportunity to stay AT LEAST 1 month on the island of your choice then you should do it! With this time, you’ll begin to embrace the island lifestyle and culture through the means of developing connections with the locals and getting to know the secret spots. If you don’t have this long however, then at least 2 weeks on ONE island will allow you the time to explore some of the more remote parts and get away from the crowds. I wholeheartedly understand the obsession with having A Greek Summer – and of course the romance attached to it! After all, it is during the months of July – September that the temperature peaks and you can lounge around the local cafe eating Gyro’s and sipping on a Freddo Cappuccino! However, why not try something a bit different and allow yourself the chance to experience an alternative side to Greece? Olive picking season comes straight after summer time when the tourists have left. This is a great cultural event to experience and also provides you with a perfect time to reflect. A change in season is a poignant time to travel and gather stock for the coming year, so why not do this in Greece and enjoy a delicious olive or 2 at the same time! 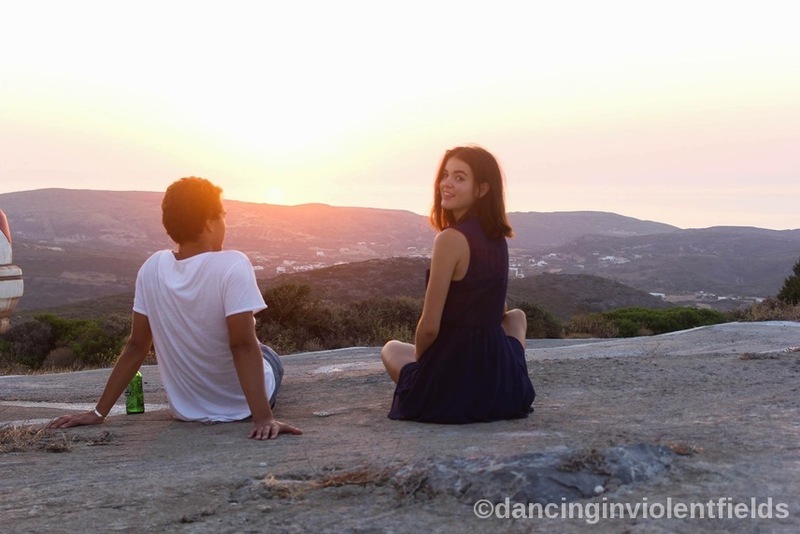 Last year on the island of Kythira I was helping some village boys pack-up furniture from the town’s dance festival the night before. Standing in the centre of the town, one of the boys saw me marvelling at the bell tower not far from where we were. I then began to ask him questions about the history of that particular town and he was more than happy to share some stories with a keen listener. This was a great lesson for me in putting yourself out there when you travel, plucking up the courage to engage with people and getting out of your comfort zone. So remember, if you really want to get off the beaten track in Greece, it’s best to ask a local to tell you some village or family stories. Don’t worry about getting them talking, most of them will be harder to shut-up! Another local secret to getting off the beaten track in Greece especially is to not be really particular or fussy on the food that you eat. Much of the produce is locally sourced, especially in more remote areas, and people will often have grown, raised and cooked it themselves. Instead of declining food, just try whatever you’re offered. Even if you hate it, try to make it look like you don’t and just say you’re full when offered anymore. 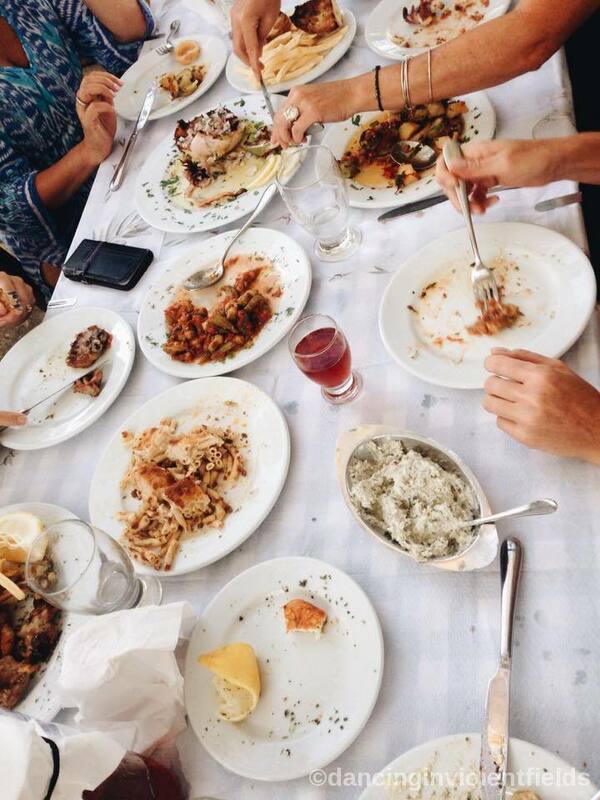 The Greeks are passionate about eating and getting great feedback on their food is a key way to ingratiate yourself! Okay, it’s most likely going to be a tiring, long and very claustrophobic journey on a ferry to the Greek Island of your choice, but it will be worth it! Boat journeys in Greece can be a key way to network and establish connections with other like-minded travellers and locals. It’s also the old traditional way to journey in these parts and the unique perspective it brings will certainly feel different as well as genuine. Just make sure you hit the outside deck for some much-needed breathing time and have your camera ready to snap the amazing views when you approach land! 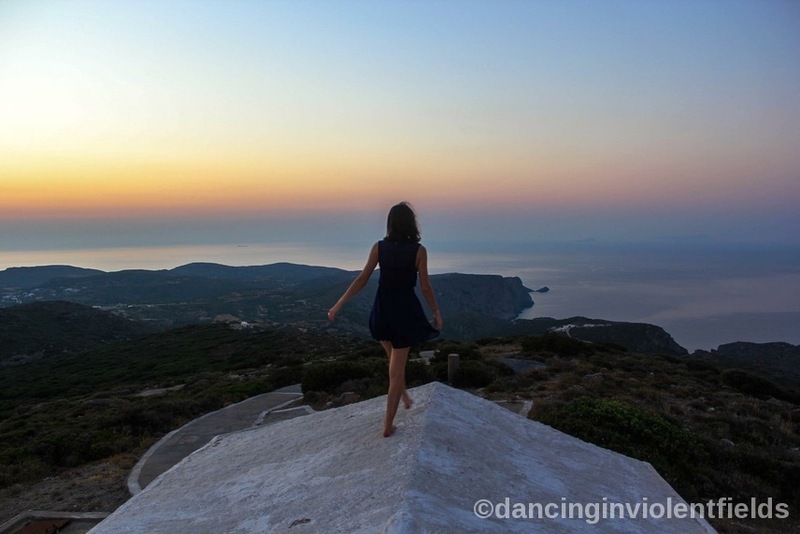 So there you have it, 7 local secrets when it comes to getting off the beaten track in Greece. Best of luck to those brave enough to try something different and always remember not to fret – getting away from the crowds is definitely worth it. If you want to see more of Elly-Grace’s work you can follow her on Facebook and Instagram. Image Credits: Elly-Grace Rinaldis, Krystal Torre. Going to Greece for the first time in October. I think #6 is a given for me, I like to eat. Of course I am going to Santorini (and Athens for two days) so there may be a couple more Instagram photos of sunsets!